Bigg Boss 12: Post her elimination from the Bigg Boss house, Evicted contestant Urvashi Vani has stated that she considers Deepak Thakur as her biggest enemy. She added that she does not think that Deepak can win the show. 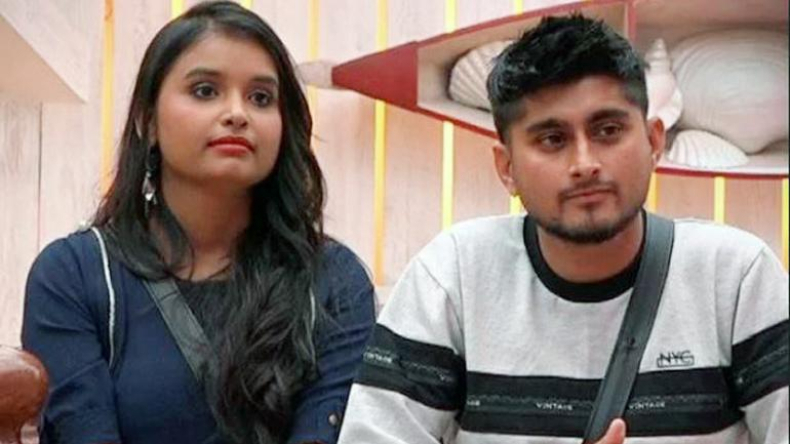 For the uninitiated, Urvashi Vani and Deepak Thakur had entered the Bigg Boss 12 house as a vichitra jodi. Entered the Bigg Boss 12 house as a vichitra Jodi, Urvashi Vani and Deepak Thakur have had a big fallout. After her eviction from the show on November 4, Urvashi has stated that Deepak is her biggest enemy and she does not think that he will win the show. In an interview with a news daily, Urvashi said that the reason behind their fall out was lack of understanding. While Deepak and other contestants were always planning and plotting, she never liked it. On being asked if Deepak can win the show, she stated that she does not think so. However, she added that Deepak could win the show if he plays with all honesty. When asked if the duo have patched up now, Urvashi clearly stated that there is nothing like that. She spoke to him formally and said what is in her heart. It is his choice whether he wants to understand her or not and come to her to talk but he didn’t. Questioning that how long can she let him play with her self esteem, Urvashi said that she just left him, ignored him completely and isn’t sure if she will ever talk to him again. With this, she called Deepak her biggest enemy. On being questioned about his interest in Somi khan, Urvashi said that it could be a strategy as there was nothing of thing sort earlier. Before Urvashi Vani, Devotional singer Anup Jalota was evicted from the show and made some shocking revelations. Denying his relationship with Jasleen Matharu, he stated that the duo just share a musical relationship and nothing more. Responding to the same, Urvashi stated that she also thinks that their relationship was fake. Otherwise, why would Anup Ji dismiss their relationship and call it staged. Hosted by Salman Khan, Bigg Boss 12 is aired on Colors from Monday to Sunday at 9 PM.